Provided as a global cloud service, IVR.VC can scale to meet your regional or global demand for a video IVR for your customers or users. 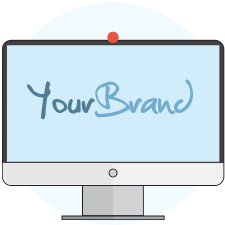 Register below to experience a real-life video IVR application today. 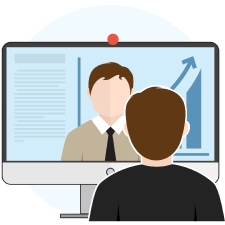 IVR.VC works with standards-based video conferencing endpoints, clients and virtual meeting rooms from top vendors such as Acano, Cisco, LifeSize, Pexip and Polycom. 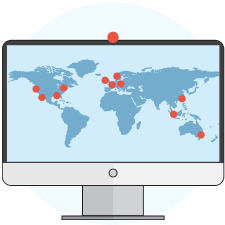 IVR.VC nodes are deployed across the world to ensure close proximity to the location of your users and quick response time when making IVR selections. 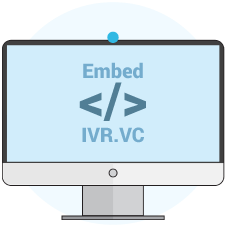 IVR.VC is provided as a QoS.VC cloud service to ensure the best possible video IVR experience for any user. 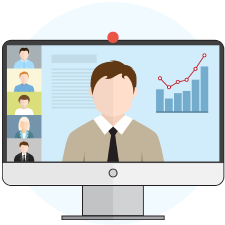 IVR.VC is engineered to fit in with service providers' and enterprises' existing video conferencing architecture. Depending on the use case, IVR.VC can be used as a stand-alone application or be integrated with a video management system for e.g. verification of PIN codes using IVR.VC HTTP/XML API. Service Providers and Resellers can white label IVR.VC any way they want. IVR.VC applications can also be white labeled for end customers. IVR.VC applications are 100% operated by REC.VC and there is no need to invest in any expensive infrastructure or overhead.